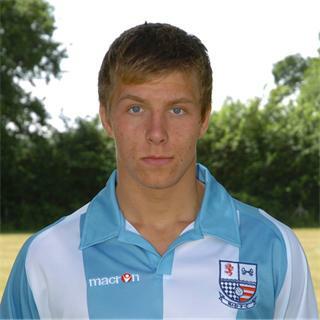 Max started his career with Cambridge United and then Histon’s academy, making 6 appearances for the Histon first team after becoming a member of the senior squad at Christmas during the 2009/2010 season. The central midfielder was signed by manager Justin Edinburgh on 1 July 2010, and made his one and only appearamce for Diamonds in the Hillier Senior Cup game against Daventry United, scoring the opening goal. He was unable to break into the first team squad however, and went out on loan to Southern League Division One Central side Barton Rovers in November 2010 for one month. In January 2011, he joined his former club Histon on loan until the end of the season, before being released in May 2011. He joined Southern League Premier side Bedford Town on 4 August 2011, before signing for Conference side Kettering Town in early-March 2012. After pre-season training with former club Histon, he joined the Conference North side on 14 August 2012, but had left by October that year to join Southern League Division One Central side Biggleswade Town, helping them to promotion via the Play-Offs. He left the club on 23 September 2014, joining Southern Premier side St.Neots Town. He had another spell at Histon before joining Biggleswade Town during the 2015-16, but then joined Histon for the fourth time prior to the 2016-17 season. He had two successful campaigns as Histon played at a lower level, and was still with the club for 2018/19.